Andamur opens a new network of service stations across Europe. 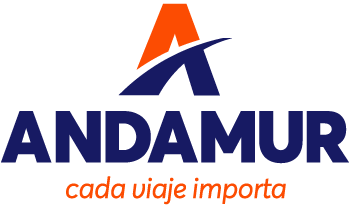 Andamur ProEurope Card gives access to 160 stations strategically located in 8 European countries, in addition to the existing Spanish network. The network, as well as the ProEurope Card, will be launched officially in TransPoland, International Transport & Logistics Exhibition, which will take place in Poland from 8th to 10th November. During the event, Andamur representatives will be available for any requests in stand F6. With 30 years’ experience in the industry, Andamur believes in a strong internationalization strategy that aims at providing services beyond the Spanish borders. the countries forming Andamur’s international network, where Andamur ProEurope Card will, from now on, give access to reliable services under Andamur’s quality standards and customer support. Moreover, Andamur offers additional services such as tolls and VAT refund, helping international transport companies with fleet management. This wide range of services, in addition to the company experience, the cutting-edge security technology, a customized customer support, and high-quality products and services, make Andamur the comprehensive solutions provider for transport companies. Find Andamur sites nearby here.